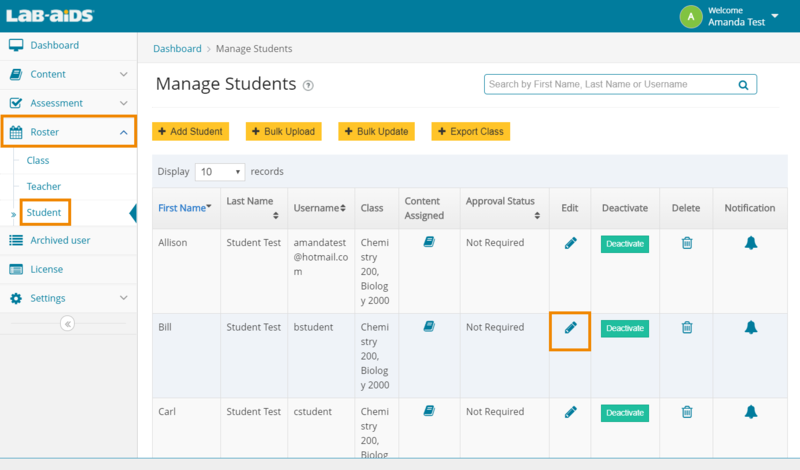 Admins: How do I change students' classes? 1. 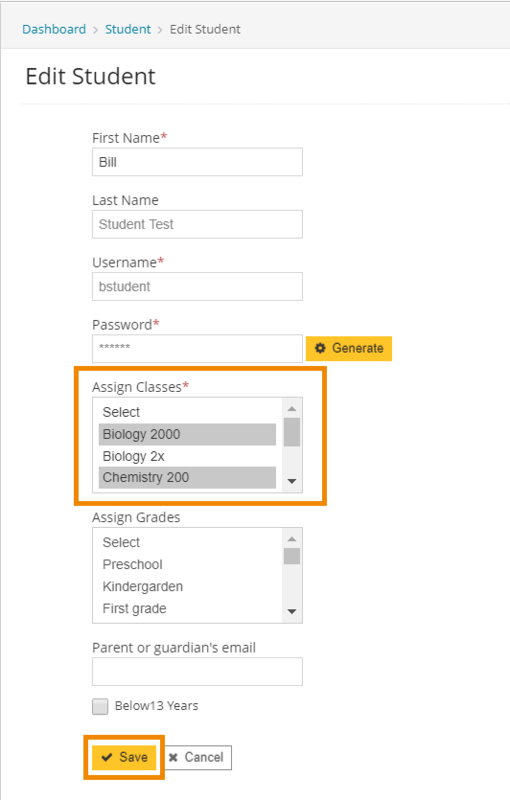 Click "Roster" and then "Student" from the left menu. 2. Click "Edit" next to the student who needs to change classes. 3. You will see the section for "Assign Classes". Edit classes until they are correct. Use the CTRL button to select/deselect multiple classes at once. Click "Save".